Effectively connect with current and prospective customers and create better experiences with a contact center platform built for the cloud. Agents are our "clients" and once they get used to Connect First, they really like it better than the previous system. Connect First is the first platform that has truly seemed interested in our success as much as their own. No matter the situation to this point, Connect First has risen to the occasion. The software continues to evolve and adapt to our growing industry needs while providing a cloud-based VoIP set up. Jeffrey Berris, Account Manager, Centah Inc. I am not sure I've found something that I dislike about this software. It's really easy to use and set up and all of the reports that you run are really accurate. 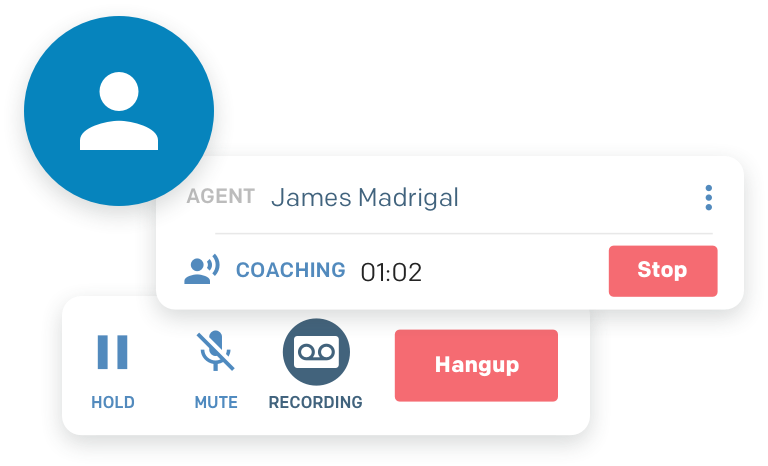 Call and chat monitoring and coaching with real-time reporting of your agents. Advanced analytics features to optimize your center and gain relevant insights. Break down data silos and keep the systems your team has learned to use. Connect First's simple, intuitive, and easy-to-use CF Agent platform allowed iPacesetters to solve software issues and improve customer interactions. See how we helped NutraScience set transfers automatically and increase efficiency within their contact centers. ViaSource used Connect First's contact center platform to remove human error from their workflows and improve their contact center efficiency. Connect with a complete end-to-end cloud contact center platform and help businesses improve their contact centers and customer experiences.